People often see meetings as an inevitable evil. As you can’t get out of it anyway, why not make the experience a little bit easier for everyone? 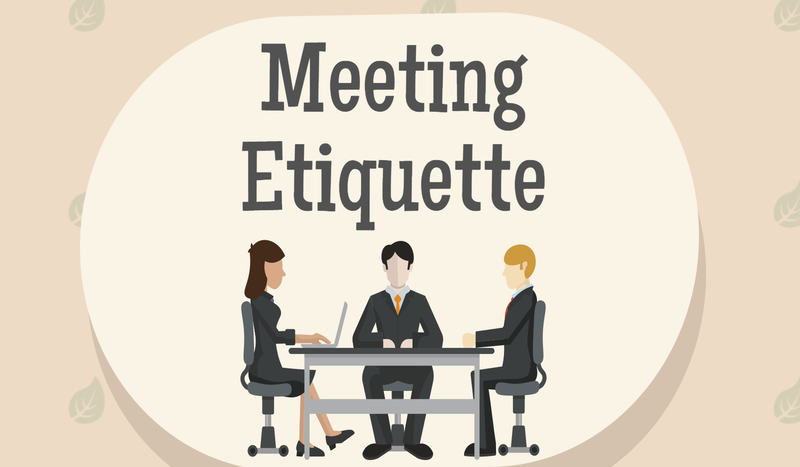 Make meetings more enjoyable, effective and efficient by abiding to these simple etiquette rules. In every society there are written and unwritten rules that members of that society have to follow. The same goes for meetings. Unlike in elementary school, most organizations won’t have a poster specifying which behavior is acceptable during meetings and which isn’t. But that doesn’t mean that there aren’t any rules. By not abiding to the rules you risk that others think of you as rude and that can be detrimental to your career in the long-run. 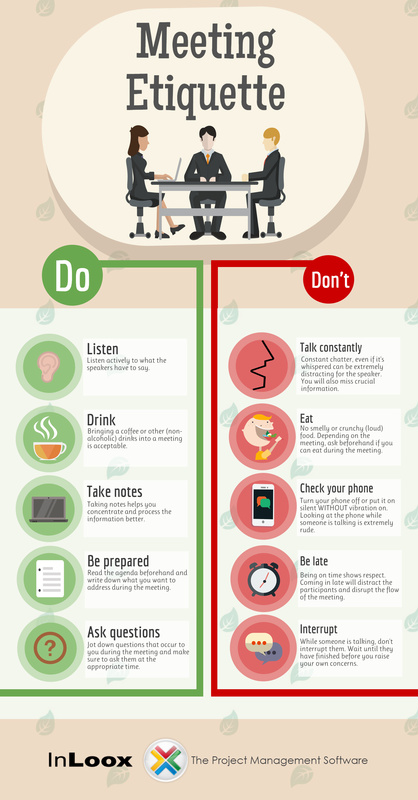 [Infographic] Meeting Etiquette Rules to Live By - InLoox • Copyright 1999-2019 © InLoox, Inc. All rights reserved.